I’m sure those apple developers though it was very funny – they gave any Windows machines on your network a nice icon with an innocent looking blue screen. 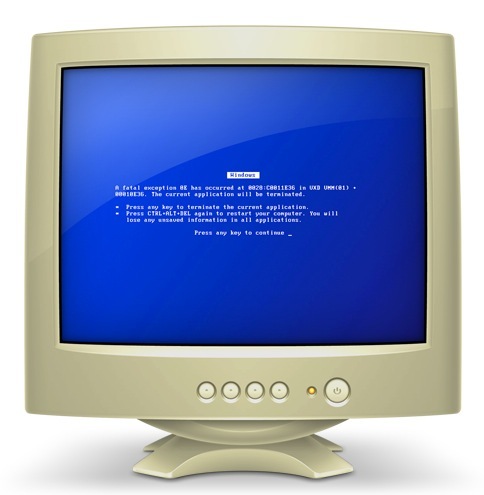 But another feature of Leopard is that you can view the icons up to a resolution of 512X512 and at this size the full detail is clear – Its a Windows 95 Blue Screen of Death. (Click it to see)However, they have slipped up – Apple’s own Airport Extreme base stations also display this icon if they don’t have a disk attached and given how flaky these devices are, a BSOD seems very appropriate.